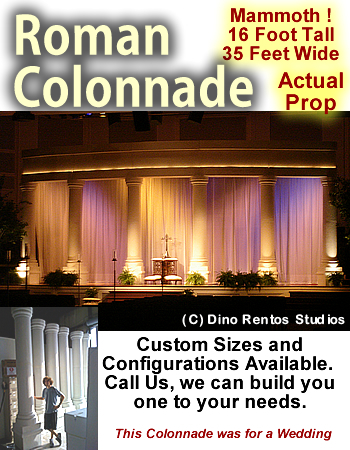 Custom Roman Colonnade Foam Structure - Dino Rentos Studios, INC. Contact us to make your Roman style colonnade. Perfect for weddings, events, stage productions, and churches. This colonade as shown is 35 feet wide by 16 feet tall.